Chillingo delivers a cute little platformer, while Glu tasks players with killing demons. It's a case of two polar opposites with this week's best iOS and Android games. On the iPhone and iPad front, we have a cute and cuddly platform adventure appropriate for all ages. Meanwhile, Android descends into darkness, as a brave warrior sets out to rid his world of demons. The best part? You can download both games for just $0.99. When it comes to touchscreen platform games, it seems numerous developers are hard at work building a better mousetrap, one that makes the concept of exploring vibrant worlds much easier. 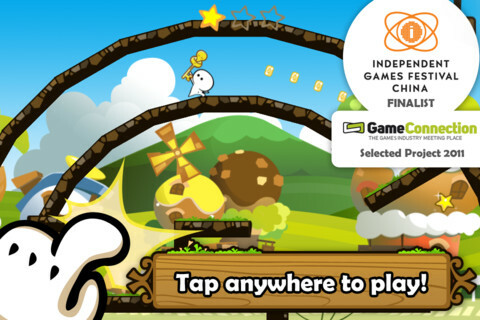 Thankfully, Chillingo and Coconut Island Studio managed to do just that with One Tap Hero, a beautifully-designed and genuinely entertaining platformer where, instead of wrestling with a virtual d-pad and buttons, players simply tap to jump, climb ladders and perform other tasks while enjoying four unique worlds, hidden bonus levels and a cool soundtrack. For $0.99, it's definitely one of the best iPhone and iPad games you can buy. If your idea of a fun time involves raiding dungeons in search of loot and hacking monsters with razor-sharp weapons, allow us to present Eternity Warriors 2, Glu Mobile's fast-paced and brutal hack-and-slash adventure that just so happens to be free. Featuring four environments jam-packed with enemies (zombies, spiders, skeletons), you charge through each location button mashing like crazy until your adversaries fall, leaving behind precious silver coins, weapons and gear. 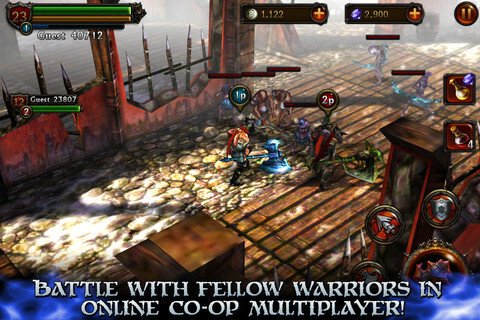 Before long, insanely tough baddies grind the experience to a halt, in-app purchases become somewhat of a necessity and we would have preferred more than one character class, but the speedy action, wealth of items and two-player online co-op make downloading Eternity Warriors 2 a no brainer.